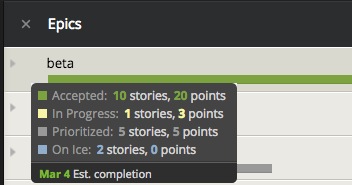 Labels and epics are useful tools for sorting and locating stories and larger projects in Tracker. 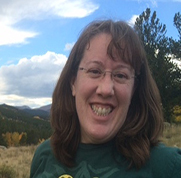 Read on to see how you can slice, dice, and julienne your stories to make them easier to sort. 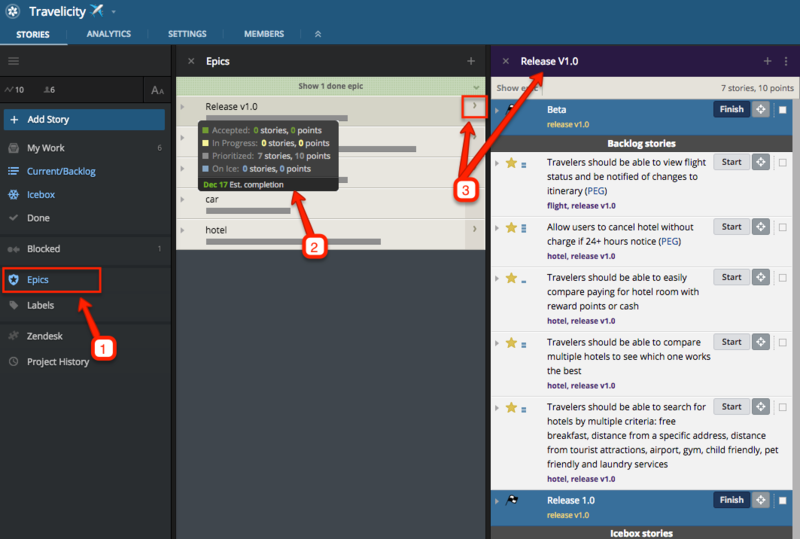 Labels are simply tags that you can associate to stories in Tracker to classify them. 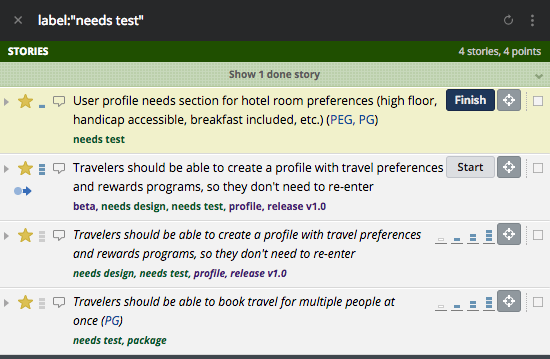 For example, you can label the stories that are part of a given release with a tag to show that release, or tag stories that need design work added, or need testing, etc. 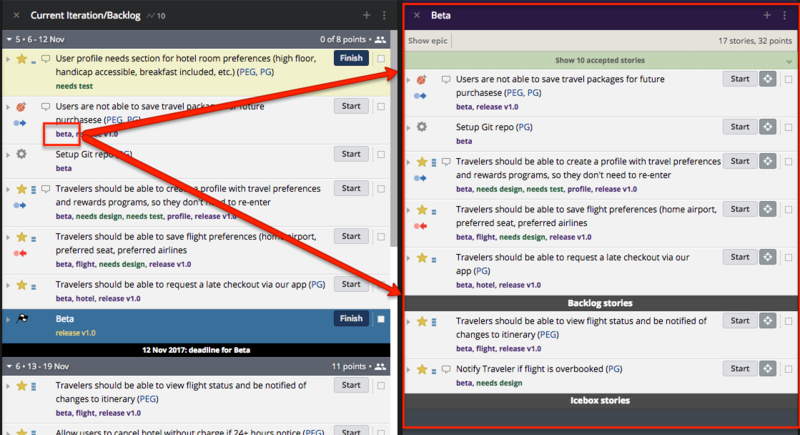 We suggest creating a standard set of labels that your team can use consistently, because too many labels can be overwhelming when you’re trying to find the one you want. In addition, inconsistently applied labels means that you might be missing stories when you view everything that has a given label. 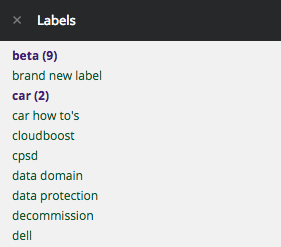 If you’ve found other labels that have been useful with your teams, please share in the comments section! 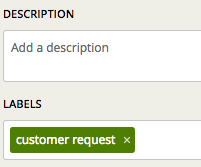 …will open a search panel with all the stories that have that label applied. 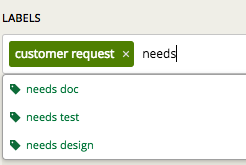 From there, you can simply click on the label you want to get to the same search panel as shown previously, for needs test. 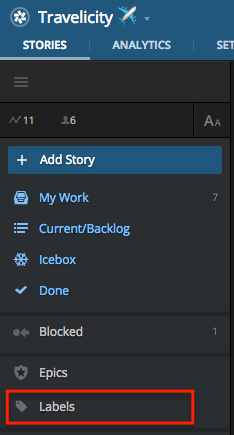 Note: You can also add stories to an epic by dragging and dropping stories from the Icebox panel or Current Iteration/Backlog panel. This works with bulk select of stories as well! You can also click on epics in your Tracker sidebar (1) to bring up the Epics panel listing all your epics, and either mouse over an epic for the quick summary view (2) or, if you click the arrow on the right side (3) of an epic, it will also open the list of all stories that are in that epic. Hopefully this has given you some useful information and tips on using labels and epics to categorize your stories and make organizing and finding what you need faster and easier. 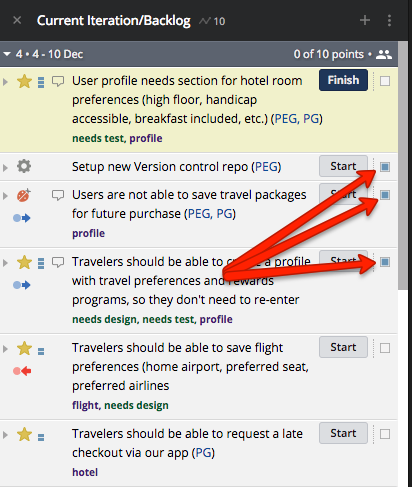 We can’t promise it’ll make you the Martha Stewart of organizing Tracker stories, but it’s still a good thing! Please let us know what we’ve missed or what else you’d like to see in the Discovering Tracker series by using the Provide Feedback widget under Help in any project, contacting us on Twitter, or emailing us.